Posted on April 27, 2015, in Photography, Projects 52, Travel and tagged #photography, #project52, #thechilloncastle, #travel. Bookmark the permalink. 68 Comments. Good photography and I enjoyed your informational article. Thanks for your kind word and appreciate that you enjoyed. Richly atmospheric. It has a mild horror-movie feel to it, like the movie “Shutter Island” or the asylum in the television series “American Horror Story.” Beautiful shot! Thank you and yes indeed it had those feeling of creepy. 1000 years old castle and yet still preserve in good condition. Oh, that is a very cool castle. I like that angle with the base at water level…and it has a rich dark ancient look!! Love that! This brings back memories of when i used to live just down the road from there, nice shot, although my memories of it are more romanticised and bright from my summer explorations. That great, I do really love this place and the history behind it. Thank you and appreciated you like it… Have a nice day. Interesting castle and good write up about it’s history. Photography and traveling are 2 of my favorite things to do, and found many photo opportunities on different parts of the world. Since you like my blog, Hong Kong in Four Days, pls. Check out my website http://www.ramonadetravels.wordpress.com and see how I travel the world with my lens. Thank you for this compelling narrative about this fascinating castle. I enjoyed your post and look forward to reading more. Awesome shot!! I was there in May–beautiful place! I like the brooding light of this photograph. It emphasis the somewhat menacing aspect of the Fort! Great shot! Real eery looking. Dungeons on Lake Geneva! Go figure. Thanks for the info that complements the photo. Always nice to see you’ve checked out my site! My wife and I were there in June, via a side-paddle steamer ride from Lausanne – but we had scaffolding messing up the Chateau…B-( WONDERFUL place though! Yes indeed it is a very nice place, hope to visit again. PS: graffiti from the likes of Lord Byron in the dungeons. I really like this shot of Chillon! Typically you see the castle from the other side and the image is reflected in the perfectly still lake shore. Your photo has an almost spooky quality that looks so raw with the wintery colors and the choppy water. Cool! Now, That’s a castle! Beautiful shot. Thank you and don’t hesitate to go, it really worth to go. Korean border. Tom “Obama-Hawk” drones fly again. live, content to take their share peacefully? Thank you for liking my blog post in my fiction category. It means a lot. I am a writer and an upcoming blogger. Please follow my blog and I’m looking forward to your new posts as well. Thank you for liking my blog post. Means a lot. Please do follow my blog. http://Www.Suzanwrites.Wordpress.com. I think the angle is very good and the misty atmosphere nicely enhances the mood. One thing I would have changed if I was taking the shot would be to get a little lower so that the branch from the right side framed the castle at the top right rather than intersecting the roof lines of the castle. I was also wondering whether you might have been able to get more of a velvety appearance to the small waves on the water if you used a neutral density filter and that would have blend nicely with the misty look visible on the left side? Thank you and appreciate for your good suggestion. 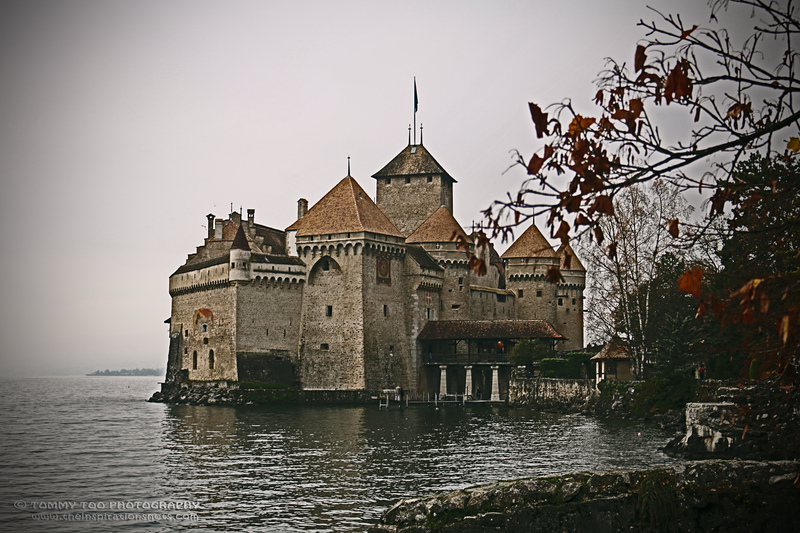 Thanks for checking out my recent blog post 🙂 Lovely shot of Chateau Chillon! World’s most beautiful prison! Your shot makes it look other-worldly. Thanks for sharing this! I have always had a fascination with castles, and enjoyed reading this. Thank you for liking a post of mine. After seeing your photographs , that’s high praise indeed.